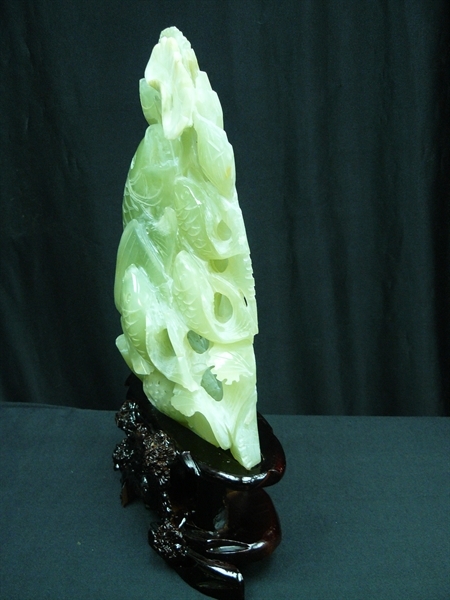 Size(without base): High 13", Wide 9", Deep 4.5"
This is a beautiful piece of art. 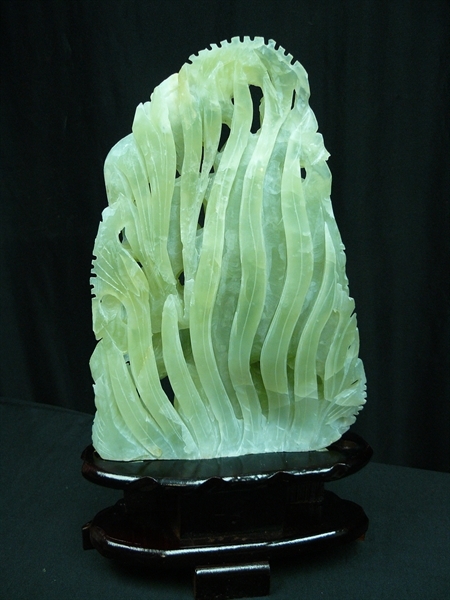 Rare and unique. 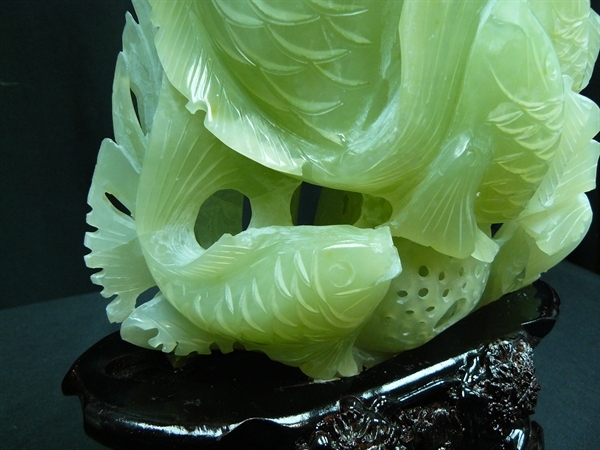 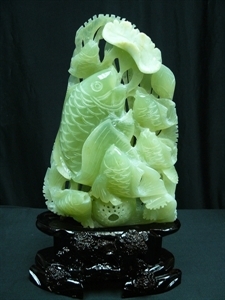 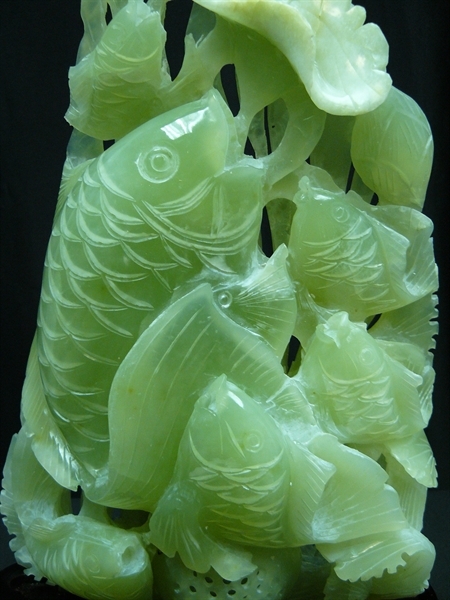 There are 6 fishes carved on a solid piece of jade. 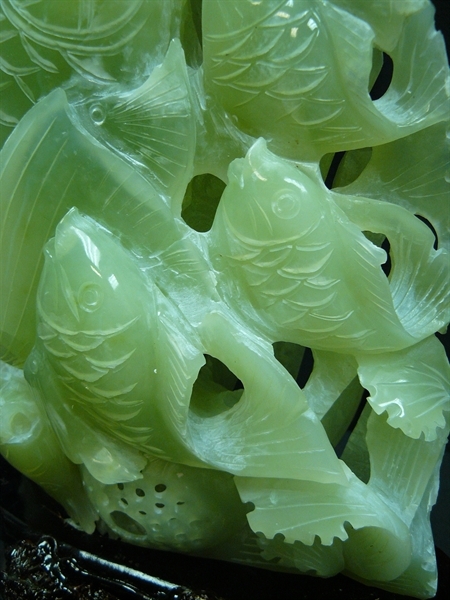 Light green. It is an amazing underwater aquarium. 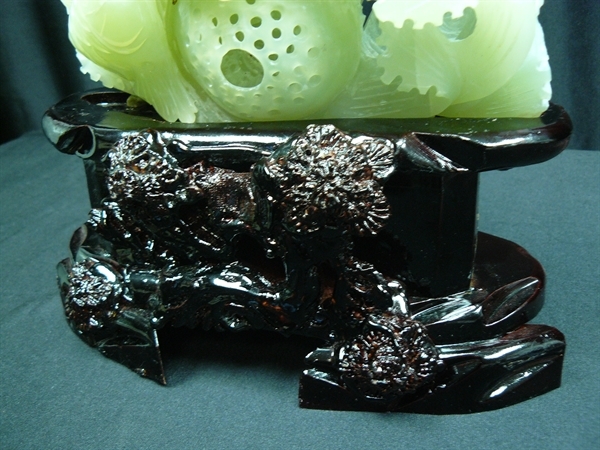 Come with a wooden base.